Old age often brings with it several medical problems like dementia which require special care and adequate medical facilities on a continued basis. 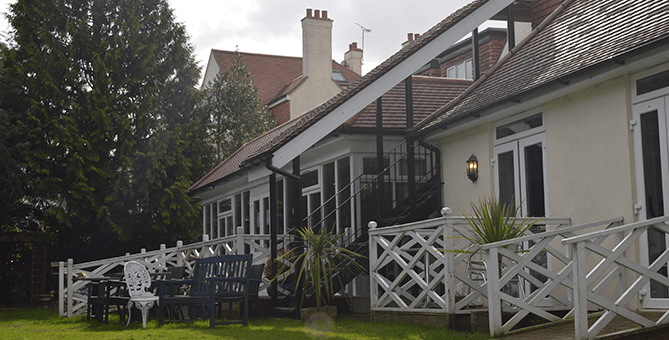 One of the best ways to ensure the highest level of care for ourselves in our old age or for other family members is to look for a nursing home in Surrey Sutton or dementia home care in Surrey Sutton. You don't need to feel guilty that you are unable to take care of an elder at your home as it is practically not possible to provide the specialized care required by them. Read on to know more about the benefits of choosing a dementia home care in South Croydon and Worcester Park. Nursing homes in Surrey, Sutton and other locations specialize in providing custodial care to the older people whose movement is hindered by a variety of medical ailments Their expert staff not only helps the members or patients to get in or out of the bed but also provide the necessary assistance for feeding, bathing and dressing. What sets St Jude Nursing home apart from others is the specialized medical care offered by it to its residents. Our nursing home specializes in dementia care by helping our residents maintain their memory and provide the necessary support to allow them to live an independent life. Dementia as we all know leads to memory impairment and confusion amongst older people. Our expert staff works to help the residents and minimize the distress and frustration caused by the memory related problems. What Sets St Jude Nursing Home Apart from Other nursing homes in Surrey Sutton? Activity and hobby lounges that aim to keep the resident patients active and busy and thus avoid a worsening of their ailments. Hair and beauty salon to provide the necessary services to the patients. Grab this opportunity of providing the best custodial and medical care for your elders at our nursing home in Surrey Sutton.